Planning on visiting New York City (NYC) soon? 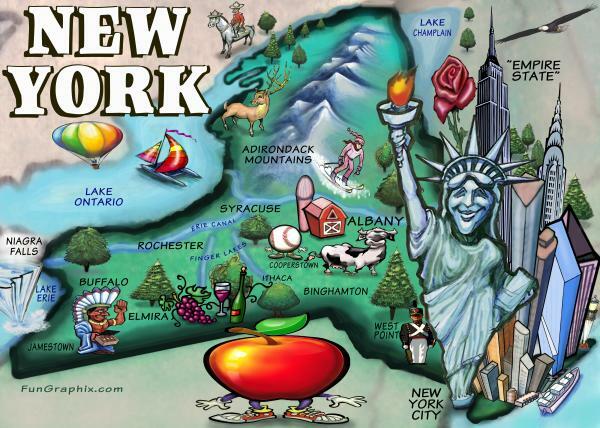 If so, then you will want to learn more about the Big Apple. Well, one of the first things you need to know is just where NYC is located. Sure, you could log onto Google Maps and find it; however, it is much more fun to think about where NYC is located in the popular imagination. Here are some of the most popular locales. Yes, this city is quite old, having been founded in 1624. It was also the first capital of the new nation. When New England was the centerpiece of the colonies, people often viewed NYC as an extension of this “Yankee” region. Today, that image no longer sticks. Inhabited by people from all over the world, the culture of NYC differs radically from that of old New England. Now, the Middle Atlantic is where most observers would physically locate NYC these days. In fact, the NYC-Philly-DC Megalopolis dominates this area with a population of over 50 million, comprising 17 percent of the nation. NYC is the heart of the East Coast. Anyone from the West Coast or South knows things are different here. Folks work hard and move fast. They are anything but laid back. This is the city that created Wall Street, which is the engine of global finance. In NYC everyone is a hustler. Nevertheless, you can find places to relax. A nice drive out to the Hamptons on Long Island comes to mind! Most definitely, NYC is the number one city in the United States. While Chicago and Los Angeles can battle it out for number two, nobody questions the claim of NYC to being above all others. Frank Sinatra was right when he said, “If I can make it there, I can make it anywhere,” because the best of everything is in NYC. Anyone who wants to compete at the top of their field must head to the Big Apple. Everywhere else pales in comparison. Nobody would mistake NYC for being in South America, the land of samba and Carnival. One winter here is enough to convince anyone with lingering doubts that they are a long way from Rio de Janeiro. However, the city has so much ethnic, racial and cultural diversity, you could excuse someone for waking up and forgetting where they were temporarily. Depending on the neighborhood, you can hear NYC residents speaking with the language or accent found in Brazil, Colombia or any other South American nation. Yes, NYC is the proverbial American melting pot. NYC, despite being quite unique, is, in the end, just another place on Earth. Residents wake up each day and suffer indignities and enjoy victories. They love their families and are proud of their communities. This city is where you want to visit if interested in seeing how people interact with one another. Be sure to spend time driving around each of the five boroughs (Manhattan, the Bronx, Brooklyn, Queens and Staten Island) to experience the NYC lifestyle in the fullest. Last, but not least, NYC exists perpetually in the minds of everyone. It is impossible for a person not to have an impression of the city. Countless movies and television shows are set in the Big Apple. Iconic scenes, especially King Kong hanging on top of the Empire State Building, have etched Manhattan indelibly in our minds. And, how can we forget Lady Liberty, who stands in the harbor welcoming all who come to visit or live? NYC is located in all of these places. Time for you to take a drive around town and enjoy the sights.